Mothers Day celebrations are first said to have taken place in the time of ancient Greeks and Romans hundreds of years ago. Even Mothers Day celebrations in UK began much before the tradition saw the light of the day in US. In US the efforts of Ms Julia Ward Howe and Ms Anna Jarvis are greatly recognised for starting the tradition of Mothers Day but several other women too made remarkable contribution to further the cause of Mothers Day holiday. Mothers Day is celebrated in more than 46 countries around the world though at different times in the month of May and in some countries it is celebrated in entirely different times of the year. 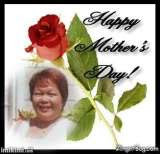 In the present time Mothers Day has come to be internationally recognized as the day to honor all mothers and thank them for the services they impart for the benefit of their individual child and consequently to the development of mankind. 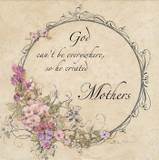 Please read on and click on the links to know more about the related Mothers Day stories.